After the meeting, some of us left to hit one of our favorite dumpsters. 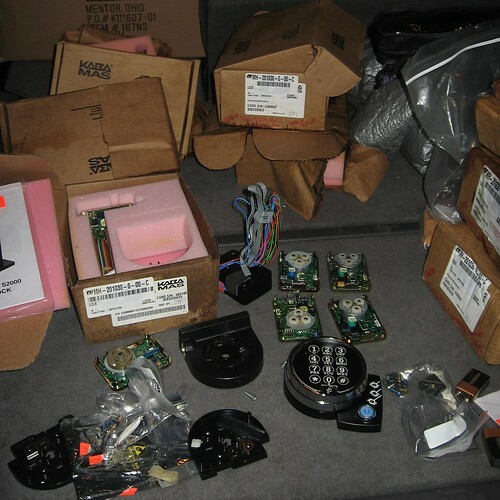 We came away with nearly a dozen electronic vault locks including several each of Sargent and Greenleaf AuditLock 6126, Kaba Mas Cencon S2000. I've dealt with both of these models in the past, and I'm looking forward to getting my hands dirty with them again. Maybe I can even make some of them work!